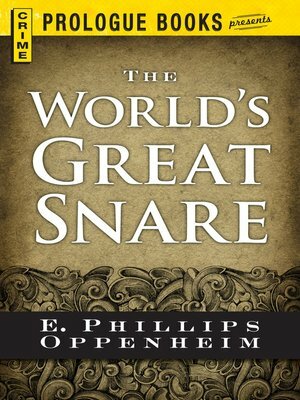 E. Phillips Oppenheim (b. 1866, d. 1946) was a British author who wrote nearly 150 novels during his career. He styled himself as the "prince of storytellers," and is credited with creating the 'rogue male' genre of adventure thrillers and was one of the earliest writers of spy fiction.